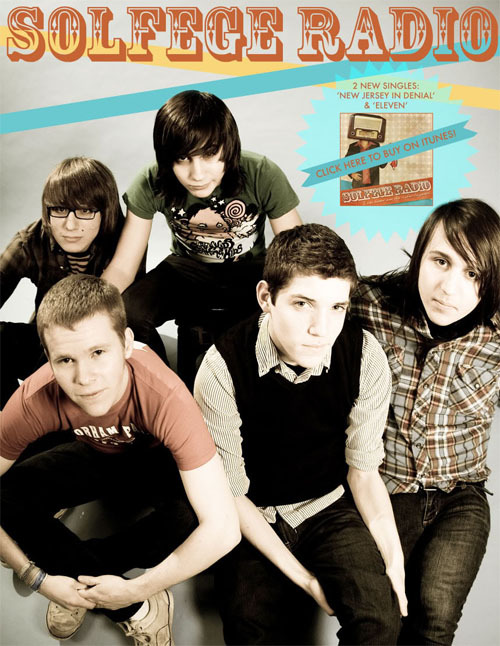 Solfege Radio came together in January 2008 and consisted of 17 year old Marco Torriani (Vocals), 16 year old Connor Wilson (Bass/Vocals), and brothers Jon (Guitar/Vocals – 18) and Matt Stolpe (Drums – 14). The line-up rounded out shortly after with the addition of Joey Nester (17) on Guitar and Vocals. The young band quickly became veterans of the NJ music scene by winning the preliminary rounds of the Jersey Shows 9th Annual Battle of the Bands. Their raw and honest live show and their throw-back NJ punk sound rang a chord with audiences. The band gained unprecedented support from the regional youth and their fanbase swelled.